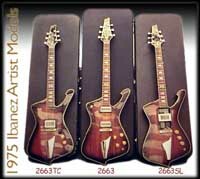 Vintage Ibanez Guitar Site -- Artist 2663 Models - the prehistoric Iceman, if you will. 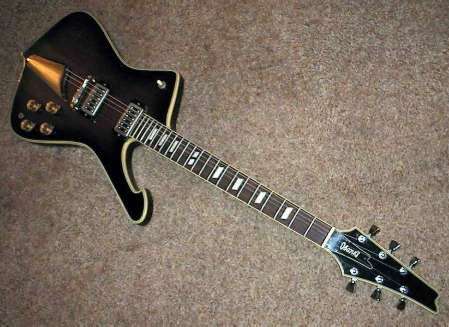 In an effort to grow as a guitar manufacturer, Ibanez wanted to establish themselves as more than a great "copy" making company (Gibson and Fender were wishing the same thing) when they designed the Iceman. 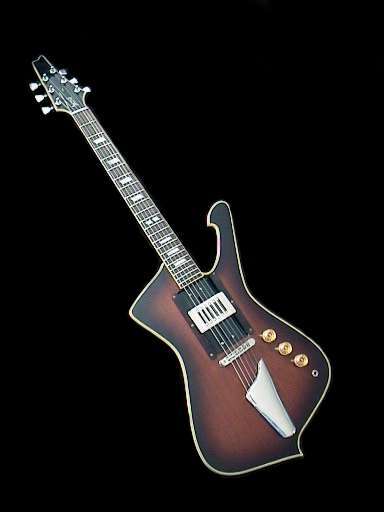 The design came about as often happens, through ideas taken from other shapes already being produced, or perhaps from guitars long since out of production. 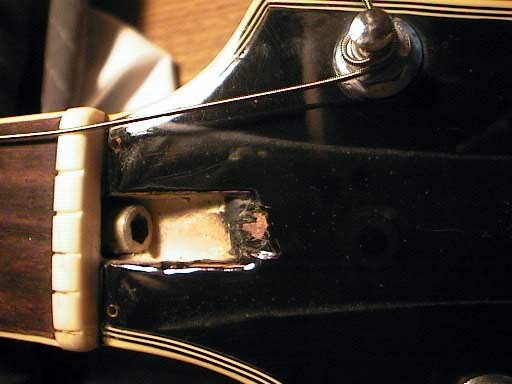 In the Iceman's case, you can see a bit of Rickenbacker in the long lower "horn", or arm shaped protrusion. 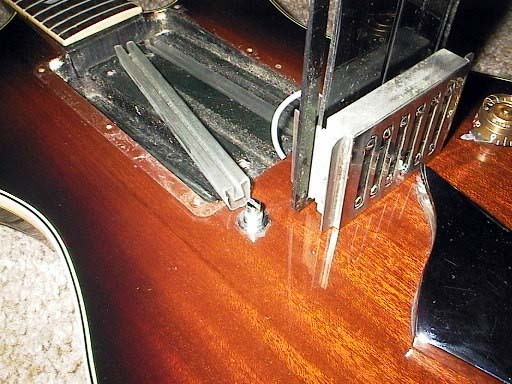 The Rickenbackers from the 60's had this "arm" on the upper (or left) side though, and it was not as long as the Iceman's. 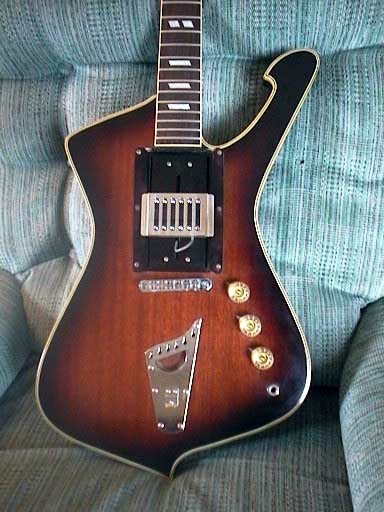 I haven't seen the lower part of the Iceman (from the waist down) on any other guitar, but it is roughly similar to many others. So in 1975 the new shape was released in America. 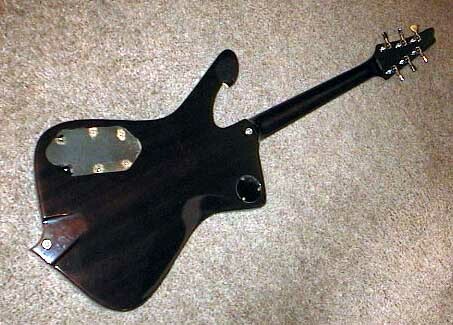 It was most likely sold in Japan too, by Ibanez of Japan and perhaps by Greco as well. If anyone can confirm this, please email me. So the Iceman was born and began reaching the US in 1975. Early, late - no one can be really sure of the facts here. For all we know, it could have been in 1974, but best guesses from experts in the field seem to agree on 1975. 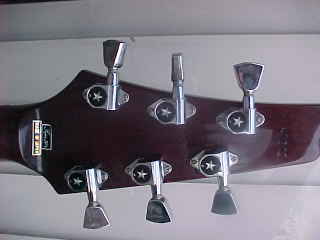 Ibanez had not started using serial numbers at this point, so the earliest Icemen (and any other Ibanez) did not have any numbers on them anywhere. 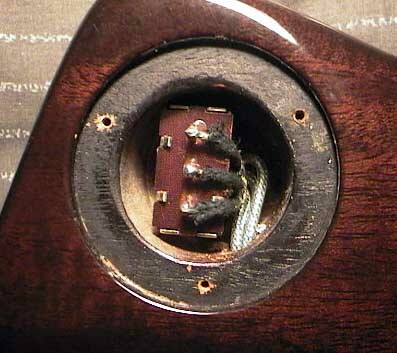 For warrantee purposes, Ibanez did start numbering their guitars in late '75, early '76. 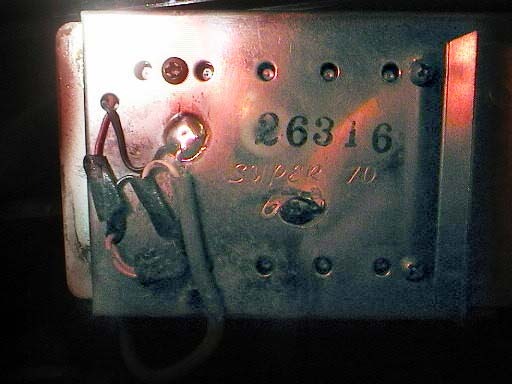 They used an easy to read system (thank you Ibanez) but there are some guitars out there with strange, one-off ID numbers stamped on them. 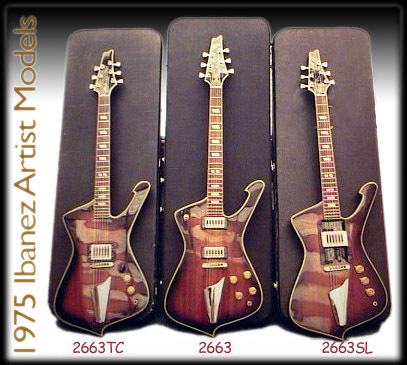 These instruments were apparently produced as Ibanez got their facilities using a standardized numbering scheme. The first models were not Iceman at all. They were lumped into the broad and unclear category "ARTIST". 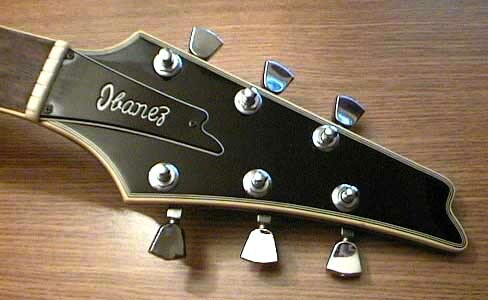 Ibanez applied this moniker to various guitar lines and individual models in the seventies. There is no clear logic to follow here folks, it's just the way it was. Upon introducing this model, there were 3 variations. 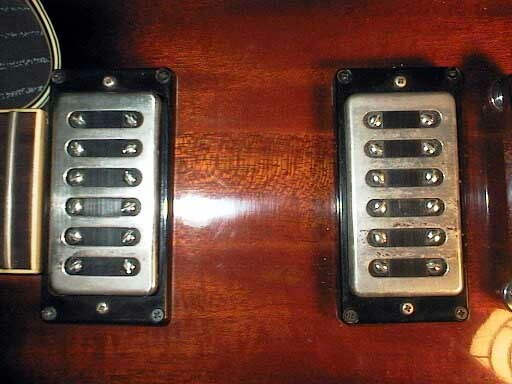 The 2663 had 2 humbucking pickups, the 2663TC had a triple coil pickup, and the 2663SL had the famous "slider", a movable triple coil pickup that the player could slide back and forth while playing. It worked great, but people responded to it more as a novelty than useful tone tool. 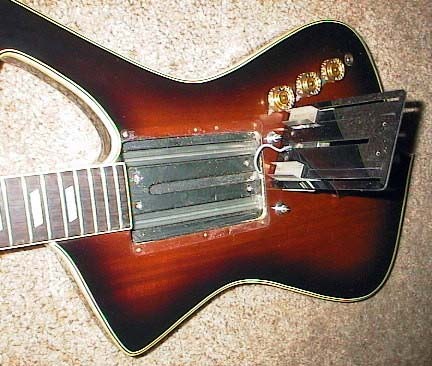 Guitar players can be a real conservative bunch, especially back in the mid seventies when Japanese guitars were widely considered crap for beginners only. I have no production numbers (or good guesses) for these early Artist Iceman models, but it's safe to guess that acceptance was not widespread and that few were sold. At least until Paul Stanley jumped on the Iceman bandwagon in 1977. But by then the Iceman had evolved into a separate guitar line and lost it's Artist name. 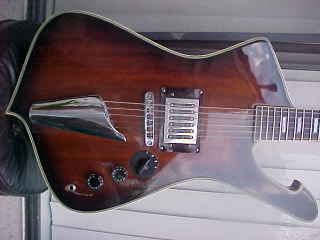 This guitar was one I recently purchased myself. It was auctioned three different times on Yahoo and two of those times I was the only one who bid on it. The reserve was probably originally around $1200 but after repeated attempts to sell, this one didn't meet the minimum bid. I made an offer after the last auction and for $750 I was able to give this axe a new home. 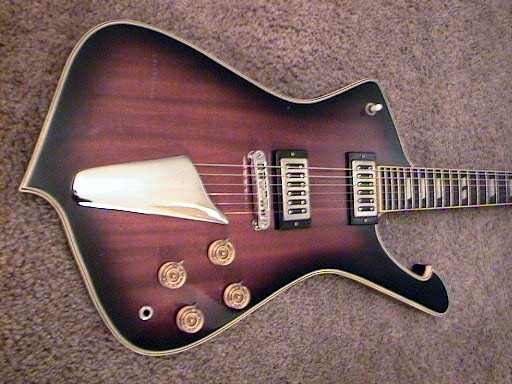 A good price that I believe would have been hard to find in a regular guitar store. Needless to say, I am a big fan of the auction sites. 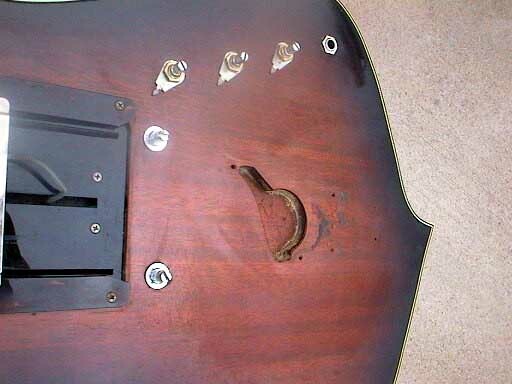 Many of these guitars suffered the good will of an original owner changing the pickups, and usually the tuners also. 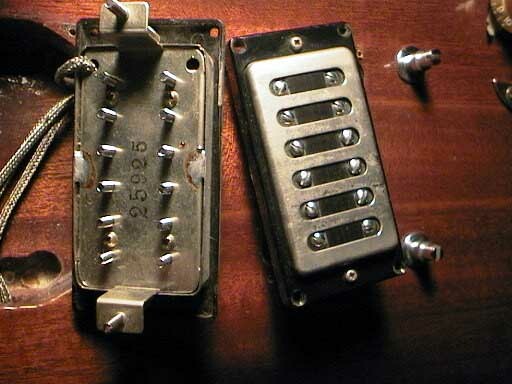 It is amazing how many 2663TC models lost their triple coil pickups in favor of a Dimarzio or some similar humbucker. 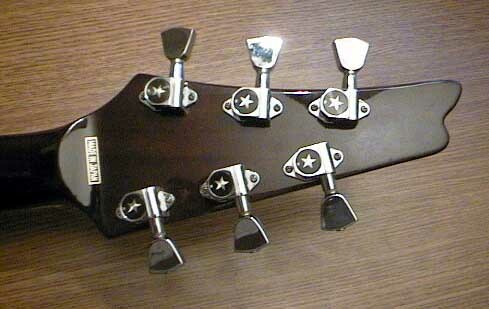 This one has the original "star" tuners and pickups. Someone has scratched a number in the finish of this Iceman. 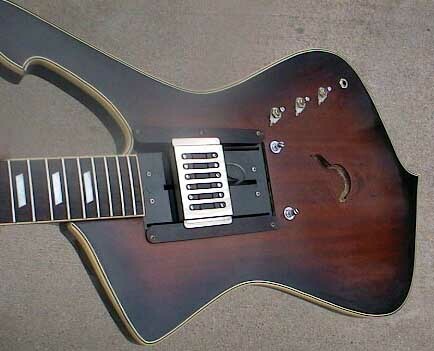 I don't know if it is an attempt to ID this guitar, but that's how it appears. 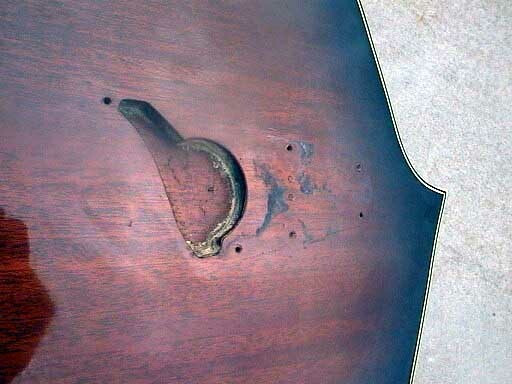 The original owner (I'm told) also scratched his initials on the tailpiece. Those initials are E W S and if you know any history on this Iceman, please let me know. 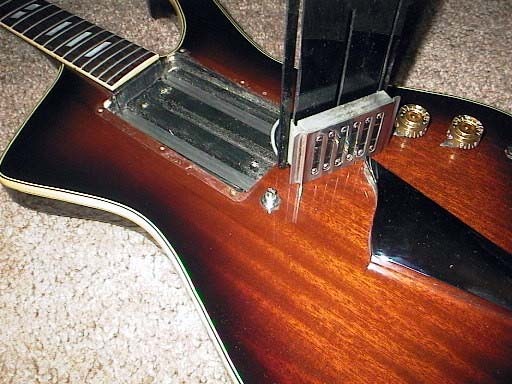 A lot of Iceman fans can't stand the look of that big nasty tailpiece and are turned off by the early models. I find myself enjoying the odd styling more as time goes by. 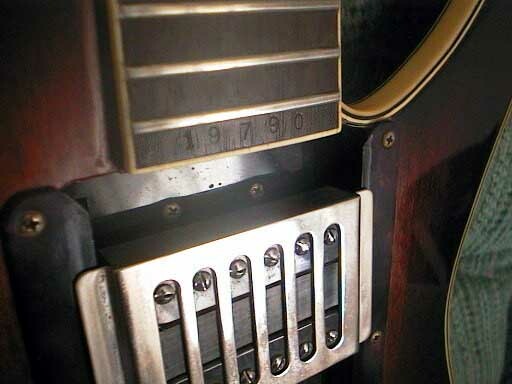 2663SL Serial Number: 19790 This guitar has a number hand-stamped into fretboard at 22 fret. 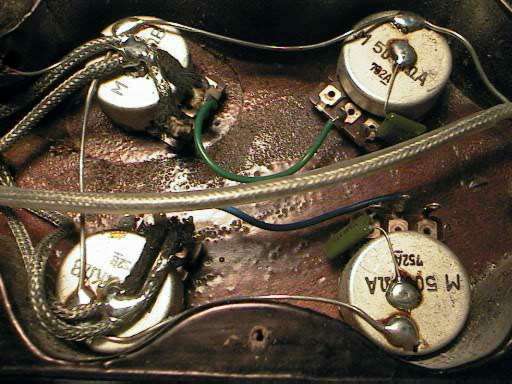 Discussion with other Ibanez collectors and experts have yet to shed any light on this practice. 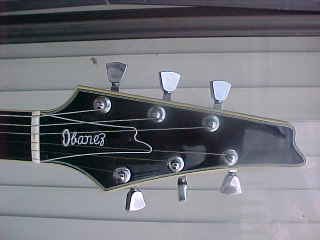 This method of identification has been seen on a very few other Ibanez guitars. 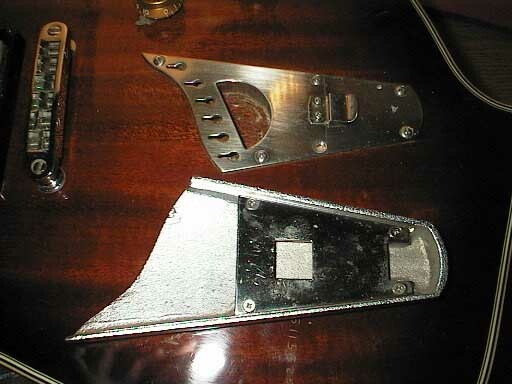 One person claims that Ibanez did this to instruments given to celebrity players back in the mid-seventies. Since those celebrities often had custom work done, this was a way to keep track of the modifications made to that instrument. This has NOT been verified by anyone at Ibanez or otherwise. For now, it's just one of more interesting theories for the hand-stamping. 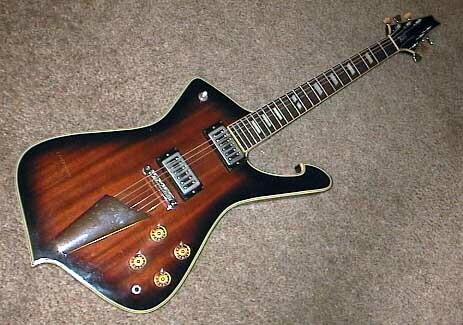 I've even been able to check with Jeff Hasselberger, the *MAIN* man at Ibanez in America in the seventies. 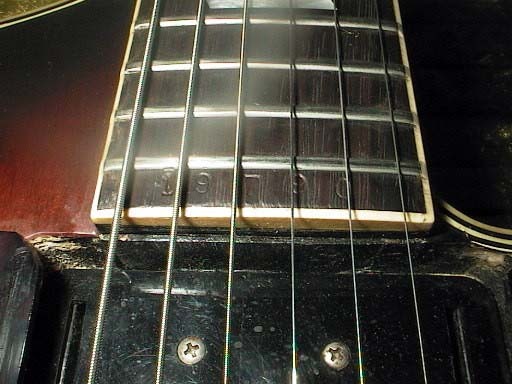 He doesn't recall why some guitars were stamped but he remembers seeing the stamp dies sitting around the Ibanez shop in Pennsylvania back then. 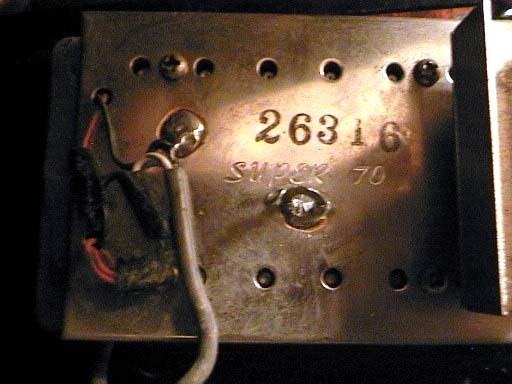 This particular 2663SL appears to be unmodified, excepting for relocation of the original solder point (for the ground wire) on the pickup. 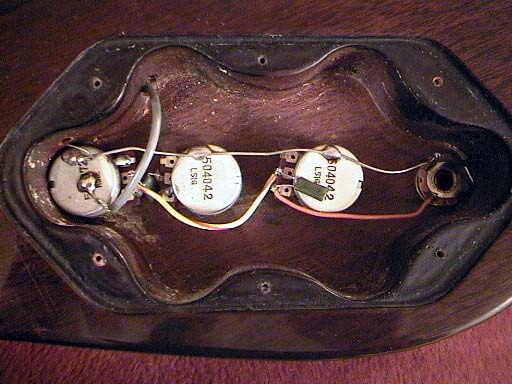 The wires going from the pickup to the control cavity are encased in a gray sheath that was originally soldered to the center of the back of the pickup. 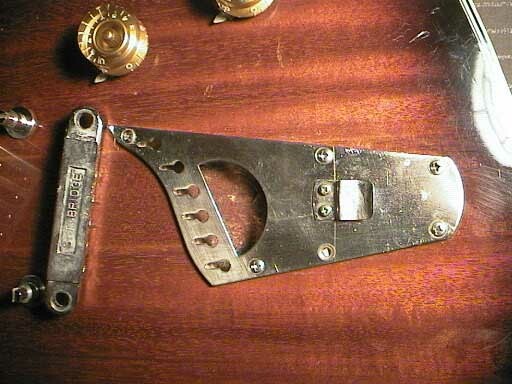 This would correspond to the slot in the pickup mounting bracket, allowing the wire to slide back and forth without binding or twisting. 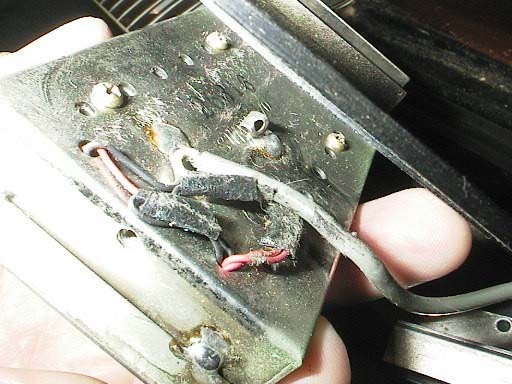 At some point someone has moved the solder point to one side of the pickup, which now binds on the mounting bracket/slide rails and results in lifting the pickup towards the strings the thickness of the wire. I can tell this is not original and am not sure why someone did this. Perhaps the pickup was sliding around too easily and they wished to have it stay put.